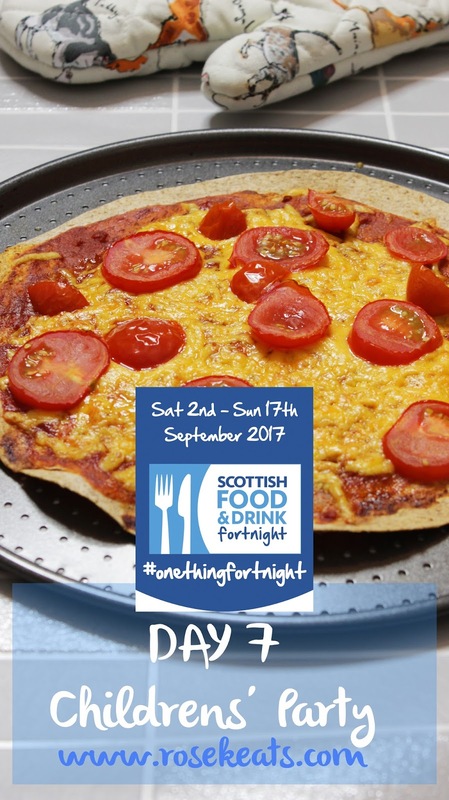 Day 7 of Scot Food Fortnight's theme is 'Childrens' Party.' I take the Brownies and one of their favourite things is when they get to get hands on with their food and make their own. The other great thing about them making their own is that not only is it an activity which fills a bit of time, but the kids have made it - so they pretty much have to eat it and it saves any moaning! 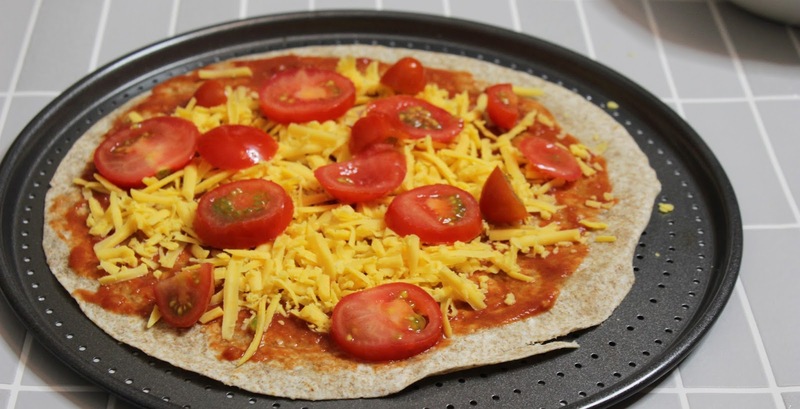 These Make Your Own Pizzas are adapted from a Slimming World recipe - to make them Slimming World friendly you just have to make sure the wrap is a HexB choice and the cheese is measured to be your HexA or synned out, but they're delicious, and easy to make, whether or not you're following the Slimming World plan. 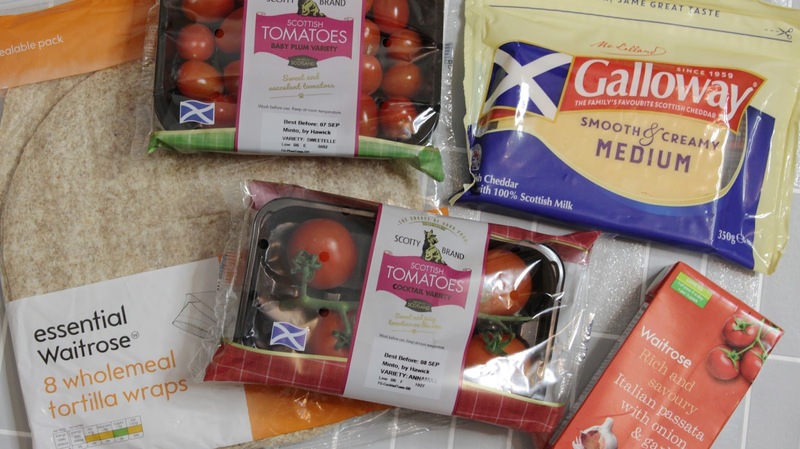 If you're going to be laying these out for a party activity I would recommend grating the cheese and chopping your tomatoes (and any other toppings you might be using that would be better chopped) just to save any small fingers getting bloody! 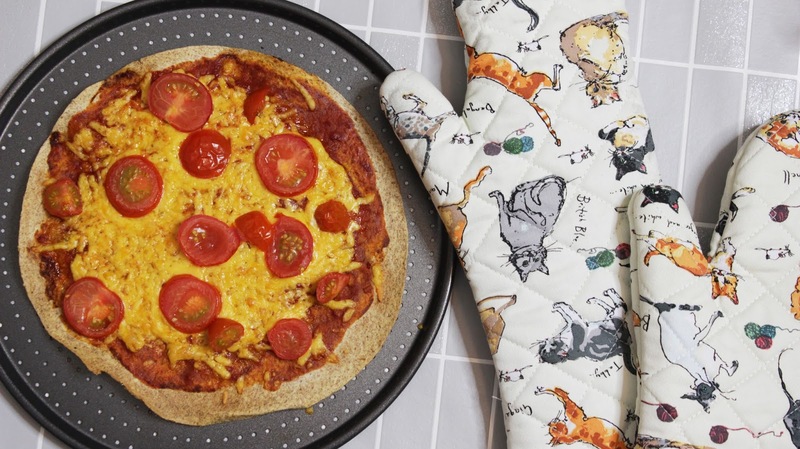 There are no rules to this really - which is why it's such a great childrens' party idea, you simply lay your wrap out (I put mine on my pizza oven tray to save having to move it off of a plate onto the tray, but you can just use a plate! 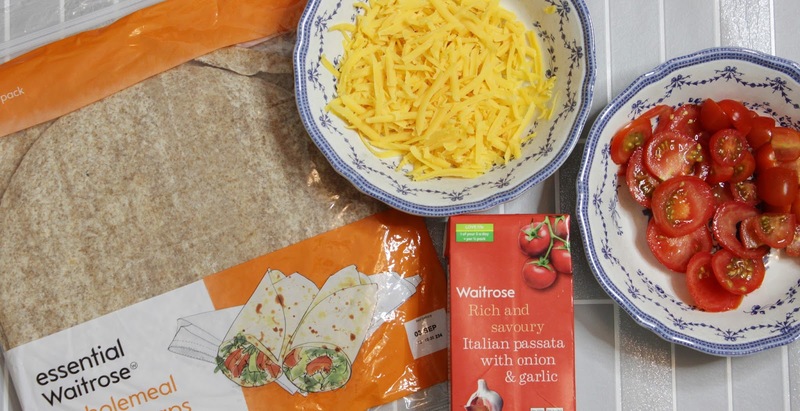 ), spoon some passata on to it, add your grated cheese and tomatoes and then whatever other toppings you fancy. Let your party guests (or yourself!) 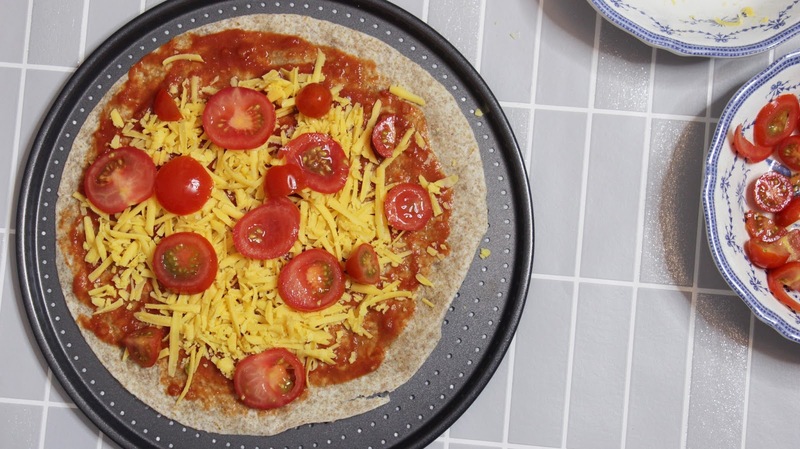 get creative - draw out a face, or the first letter of your name using pizza toppings - there's no limit and it's a pizza so it's pretty much going to taste good! Once you're satisfied pop it in a pre-heated oven at 200 degrees, or 180 for a fan, for 10 minutes. 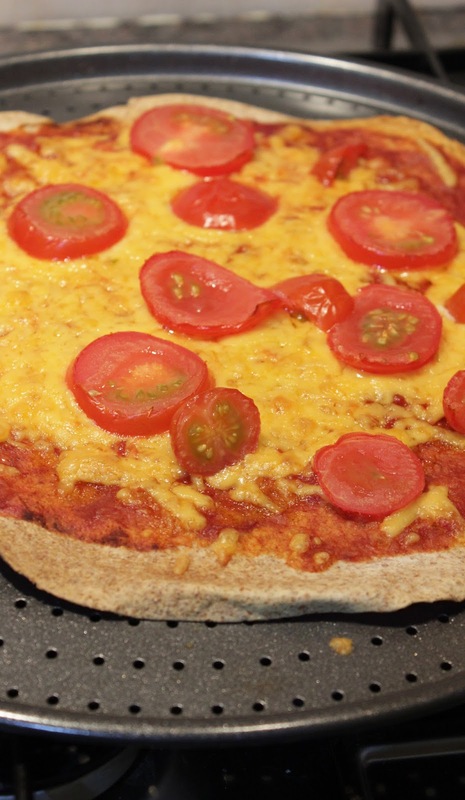 Et voila - a healthy, easy to make pizza and a party activity, what more could you want?